The Athletic Club of Bend, located in the city of Bend, Oregon is the area's premier private executive health and fitness club. Established in 1991, the Athletic Club of Bend has continued to provide the community with the best in health and wellness facilities and activities. Conveniently located on the way to Mt. Bachelor and nearby river trail system, the club is a great place to start or end your daily fitness routine. Contact Membership Now. With seven indoor courts, tennis members at the Athletic Club of Bend enjoy the largest indoor facility in central Oregon. Our Group Fitness program offers over 100 exciting and dynamic classes each week designed for every fitness level. Fun and fitness is a family activity at the Athletic Club of Bend. We have programs for infants, preschool kids, young children and teens. 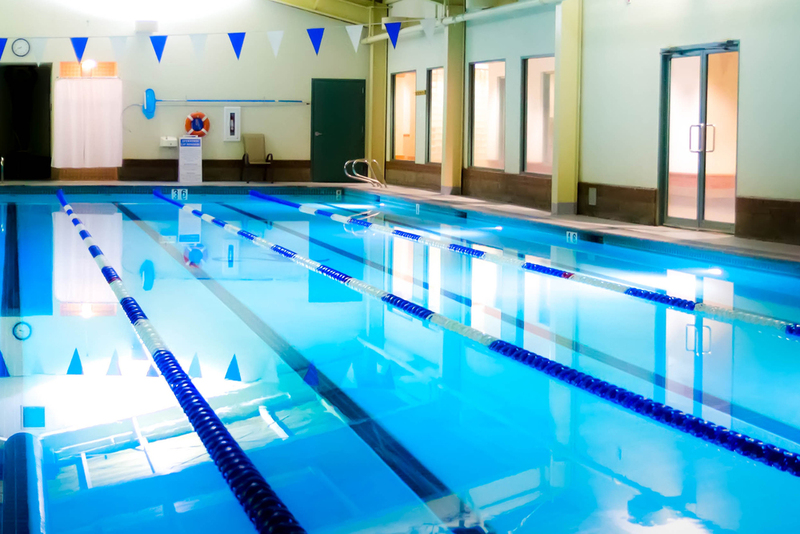 With one of the best year-round swim facilities in town, many of Bend 's active swimmers can be found swimming at the Athletic Club of Bend. Take your fitness to the next level! Whether you'd like to lose weight, tone up or increase performance for your next competition, our personal trainers can help. The Athletic Club of Bend offers a wide variety of court sports - basketball, racquetball, squash, handball and more. With 10 therapists practicing a diverse range of therapeutic modalities, we are ready to take care of your stress relief, relaxation, and recovery needs. Great food, cocktails and a wonderful place to relax after a workout. Located within the Athletic Club of Bend and open to the public.